Harness Racing is one of the most popular horse events today, and is now a year-round sport in many areas of the country. 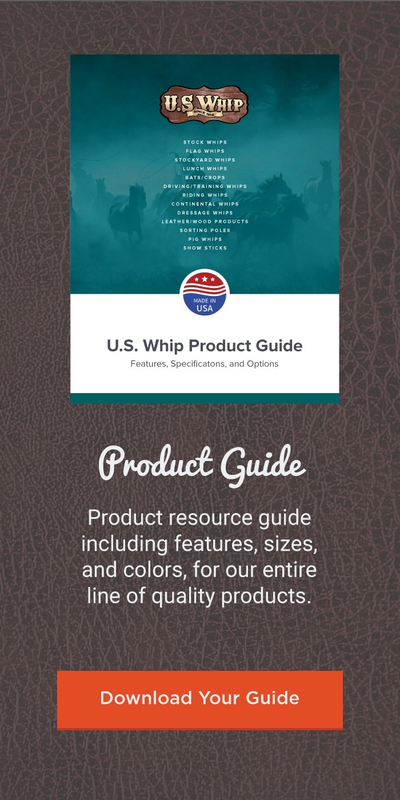 Most drivers rely on their whip as an essential tool in driving their horse at critical times of the race. Driving Whips come in two distinct styles; one with leather handle, chrome ferrule and end cap or a rubber handle. Buggy whips, Jog whips, and Sulky whips all have a 3″ lash, but vary in shaft lengths and handles. The Buggy whips have an 11″ soft rubber handle. Jog & Sulky whips are available with either 7″ soft rubber handle or 7″ tapered rubber handle with chrome end cap.